This is a short article that looks at the likely future relevance of consumer brand trust to pharma companies. A short article that looks at recent acquisitions in medical industries and suggests questions executives should ask to ascertain whether their acquisition strategy has the right focus. This short article describes how rare disease business models are an early sign of the evolutionary path of some pharma companies. It’s a good way to put this increasingly popular strategy into a wider context. 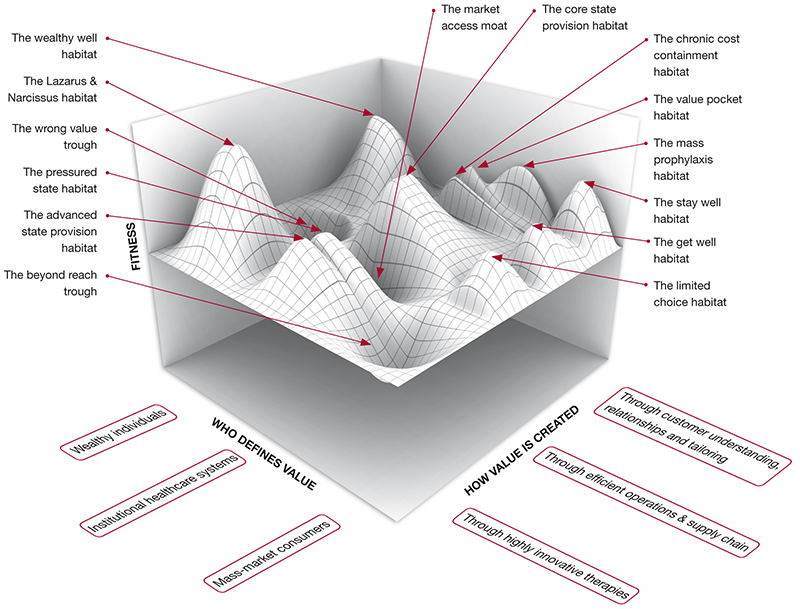 This feature article from PharmaFocus Asia pulls together all the complex changes in our industry environment to identify six evolutionary selection pressures that will determine whether business models survive or become extinct. It’s a good framework to help make sense of our industry. Strategies often get lost in translation as they are communicated along the chain of command. 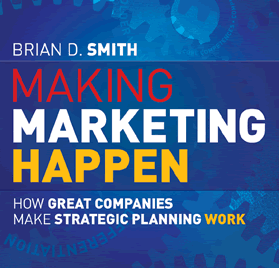 This article examines how a highly effective brand teams connect high-level strategy with operational activity. Company culture acts as a brake on change, preventing adaptation to fast-moving markets. This article (from the Darwin's Medicine series) looks at how to overcome this problem without throwing away the unique advantages your culture gives your company. For life sciences companies, evolving is becoming harder not easier. Sometimes an injection of new genes is imperative for survival. This article is part of the Darwin's Medicine series, published in Pharmaceutical Marketing Europe. Evolution is almost always used as a synonym for change and DNA as a metaphor for habits. However,by relegating evolution to a mere metaphor, we risk missing the value in the best idea anyone has ever had. It isn’t a metaphor for what’s happening to the medical industries - variation, selection and amplification, are all parts of evolution that is happening all around us. 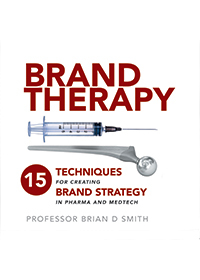 In a feature article published in Pharmaceutical Marketing Europe, Professor Brian D Smith looks at how futures we cannot predict require a different approach to strategy making. 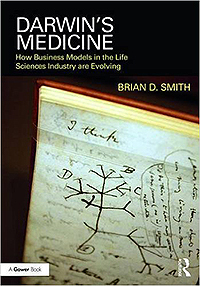 In this, the latest in the Darwin's Medicine series from Pharmaceutical Marketing Europe, Professor Brian D Smith looks at how recent events in the pharmaceutical industry are an echo from the 19th century. A paradox of evolution is that well adapted creatures are also the most vulnerable; species thrive in their chosen habitat but decline when it changes. The same analogy helps us to see the strategic necessity for pharma companies to reconsider how they will survive in a future industry. This is the third article in Professor Brian D Smith's series of Darwin's Medicine articles, published by Pharmaceutical Marketing Europe. This article in PME's Darwin's Medicine series discusses how evolutionary theory helps us understand and adapt to the industry's latest deal-making frenzy. In this article - part of PME's Darwin's Medicine series - Brian D Smith explains why pharma companies - and payers - should stop incestuous ‘best practice’ behaviours and look for new ways of comparing options. How success traps companies and makes them vulnerable to competition. 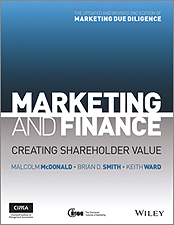 Professor Brian D Smith explores why so many medtech companies find it hard to create and offer customer added value services and gives tips on how to overcome this difficulty to gain competitive advantage. This is the first column in the new Darwin's Medicine series in Pharmaceutical Marketing Europe. Prof Brian D Smith points out the practical implications of an evolving pharmaceutical market where, by the time we actually see the changes, it will be too late to do anything about them. With so may attempts failing, isn't it time you restructured your approach to change management? The medtech industry is a constant battle between established firms and emerging rivals. What do these battles tell us about strategies for maintaining or overturning an entrenched market position? 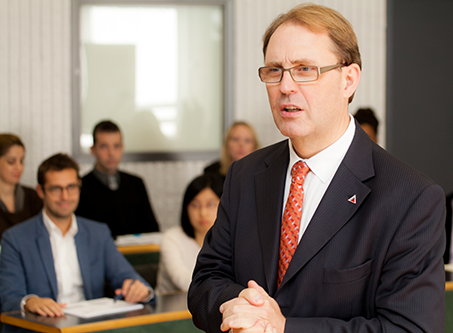 Professor Brian D Smith's research into the industry's evolution points to three key themes and highlights companies from whom lessons can be learnt.